You may remember a while back I posted about my kitchen. Much like the rest of my house, its lacks personality. It isn’t horrible, we just ran out of funds when it came to pretty time. I’m just tired of it, really tired of it. I keep telling myself I’m bored of blue, but when I went back to the drawing board, guess what I gravitated toward? Am I crazy, maybe a little. But I’m full steam ahead with this kitchen makeover! I’m really happy with this inspiration board. Although it isn’t a huge stretch from the current look, I think it is really going to give the space a much more put together look. I’m super excited!! Faucet– Delta Canada “Pilar Collection” – I can’t wait to get my hands on under this! This faucet can be operated traditionally by using the single handle or by touching anywhere on the handle to activate the water with Touch 2O Technology! Paint– Pittsburg Paints Voice of Color Whirlpool PPG1230-3, Annapolis Blue– PPG146-7, Winter Feather PPG-14-06, Purity PPG14-20. My current kitchen (you can see here) isn’t that old, so I won’t be touching the cabinets, countertops, or appliances. However, those things will need to be addressed sooner than later as my counter has a huge crack in it, my stove has a broken knob and the fridge insides are falling apart plus making an airplane type noise! Follow Virginia Fynes’s board Kitchen Love on Pinterest. I’m going to add a few pieces of furniture to the kitchen space now that the highchair has moved on and the kiddos are getting a little bigger. 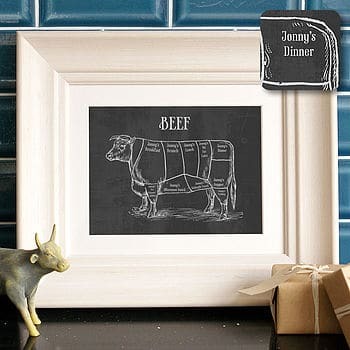 I don’t know what it is about butcher prints that gets me, maybe my farm girl background, but I’ve decided I need some. I can’t wait to get started on this kitchen makeover. 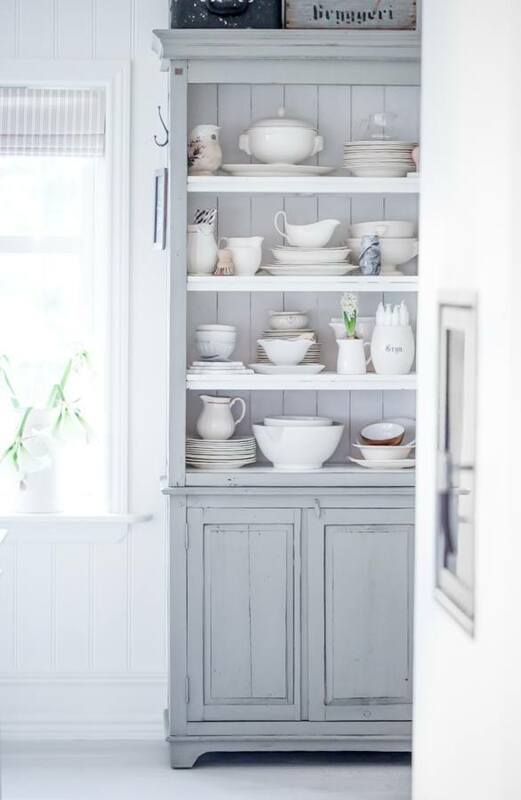 If you had the opportunity to update your kitchen, what would be the first thing you’d change about your space? 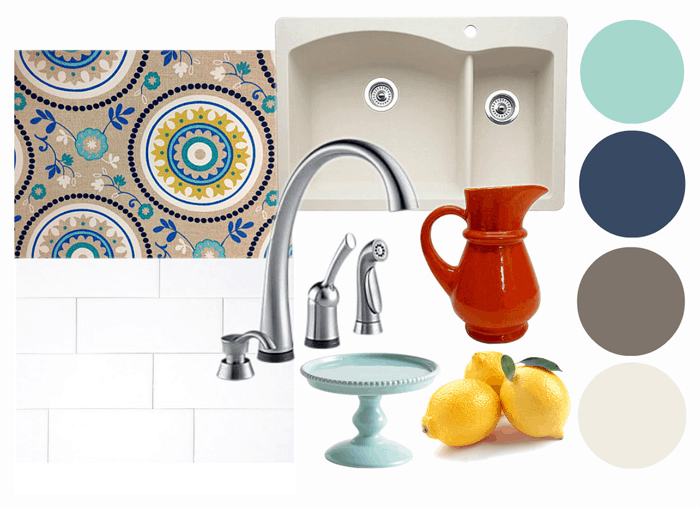 I am actually looking at changing the counter, sink and faucet this fall and need a lot of inspiration. Thanks Krista! I’ll be excited to see yours too, I love your style! I have that same fabric!! I love your inspiration choices, I keep pinning things for my future dream home 🙂 I can’t wait till we’re out of our apartment and can actually paint and decorate! Oh boy, I can’t wait to see what you do! I love your inspiration board – the turquoise, blue and red combination makes my heart beat a little faster. 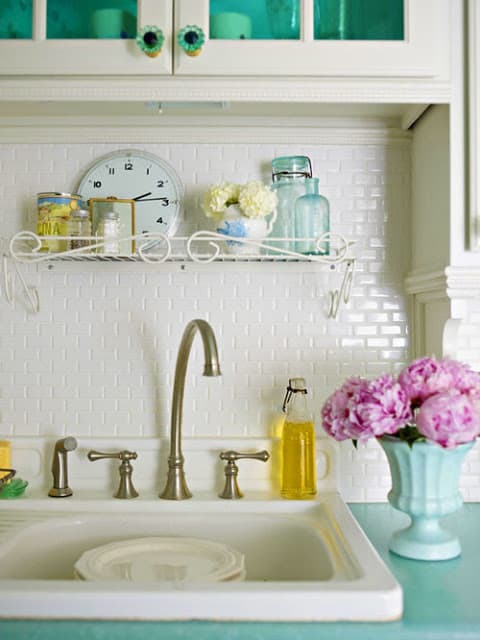 I love subway tile backsplashes too – that’s one thing we still need to do in our kitchen when we are able to. Have fun! I’m so excited, I can’t wait for it all to come together, The backsplash is the one thing we left when we moved in 5 years ago. I’m so excited for it to come together. I love your use of colour, Virginia! It’s going to be such a great space – I can’t wait to see it come together!